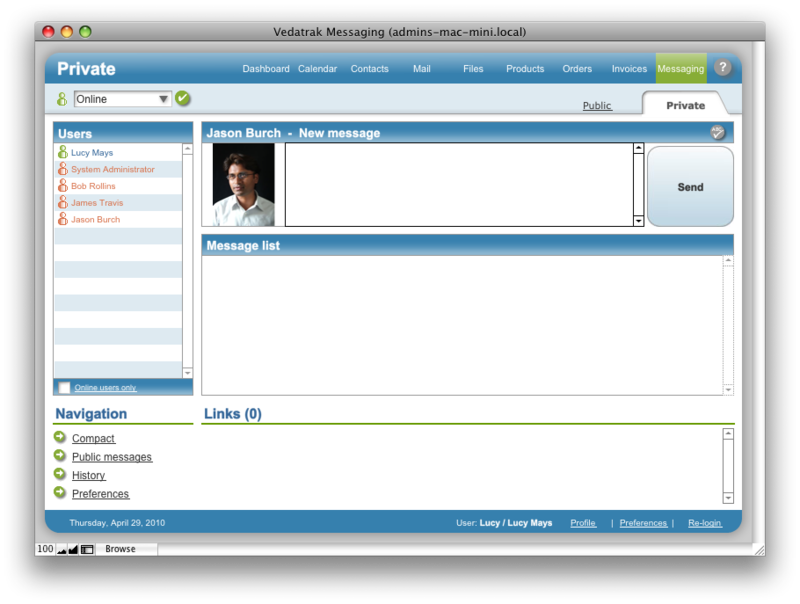 Messaging Private View allows users to send a private message to a selected database user, review the private message list and private database links. To send a private message to a selected user, enter text in the New Message field then click Send. To change your own status, select it from the Status drop down list and click Apply. You can view online and offline database users in the Users list. To view online users only check the Online users only box. To send a private message to another user click on the user name in the Users list. To switch to a different Messaging mode, use the Navigation area. To open received database links, click Edit/View next to the link.